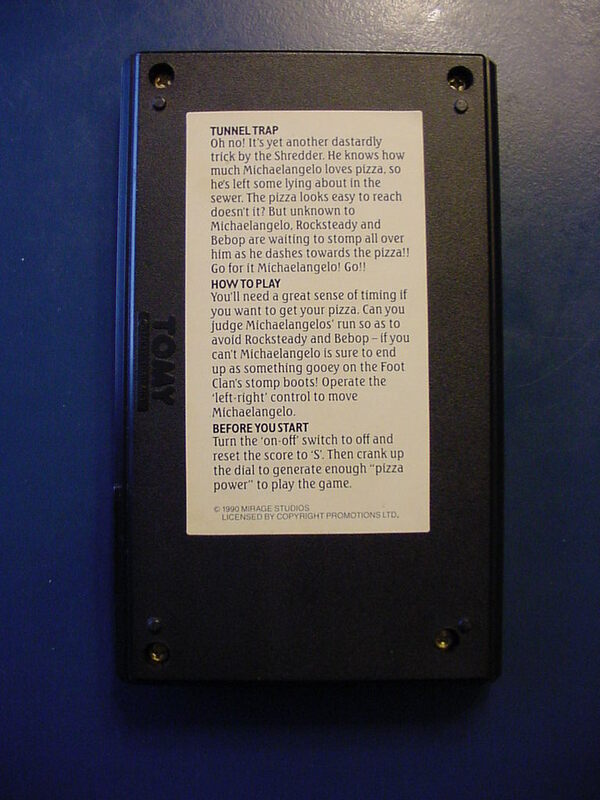 Wind up games, part of the Pocket Arcade series (also called Technoboy series in Japan). 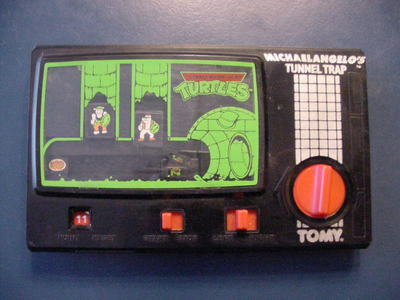 This was a sub-series of 4 games based on the Teenage Mutant Ninja Turtles, one game for each of the turtles (they were sold seperately). 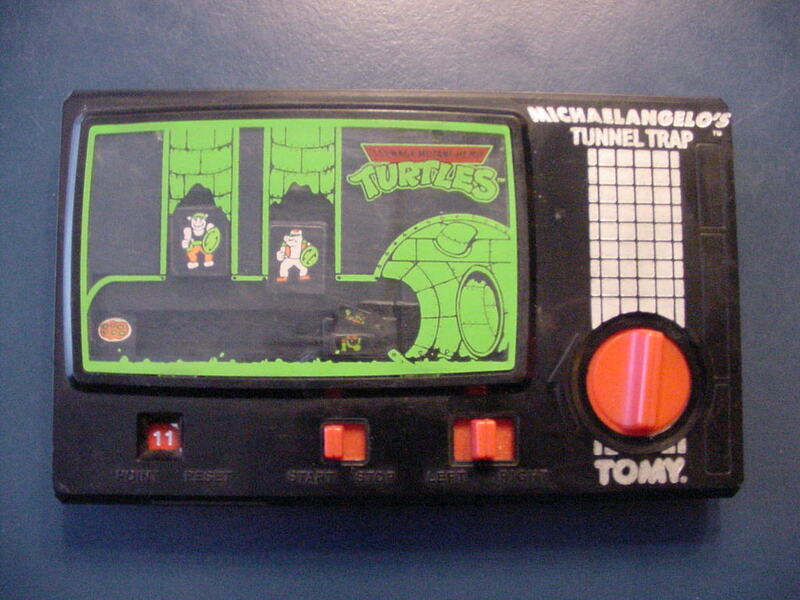 Donatello&apos;s Sewer Seltzer Canon, Leonardo s Pizza Vault, Michaelangelo s Tunnel Trap and Raphael s Sewer Battle.